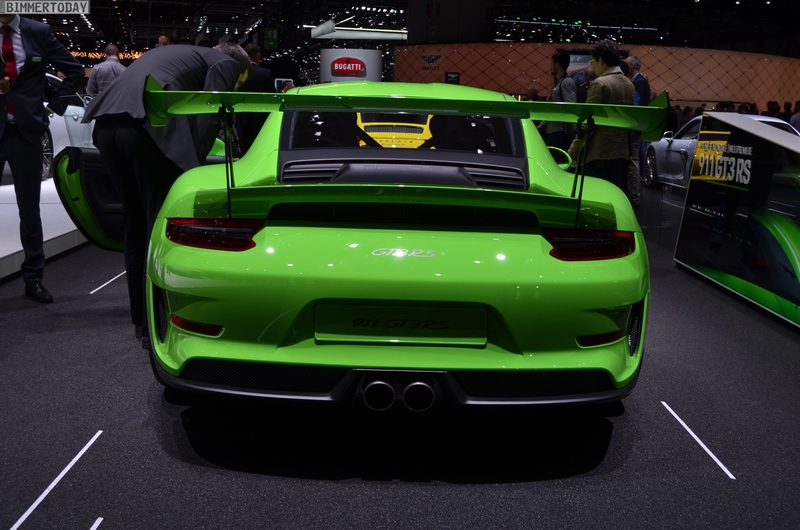 For many fans of pure, honest sportscars, the Porsche 911 GT3 RS 991.2 is the highlight of the 2018 Geneva Motor Show. The most powerful 911 with a naturally aspirated engine offers the performance of a race car with the street legal certification and it’s therefore far more fascinating for car fans than more powerful, but often less consistent models from other manufacturers. Although 520 hp and 470 Newton meters of torque are no longer the peak today, the overall package leaves many other cars in the dust. The 911 six-cylinder boxer reaches speeds up to 9,000 rev/min and weighs only 1,430 kilograms. If required, the high-revving engine brings the new Porsche 911 GT3 RS in 3.2 seconds from 0 to 100 and up to a top speed of 312 km/h. 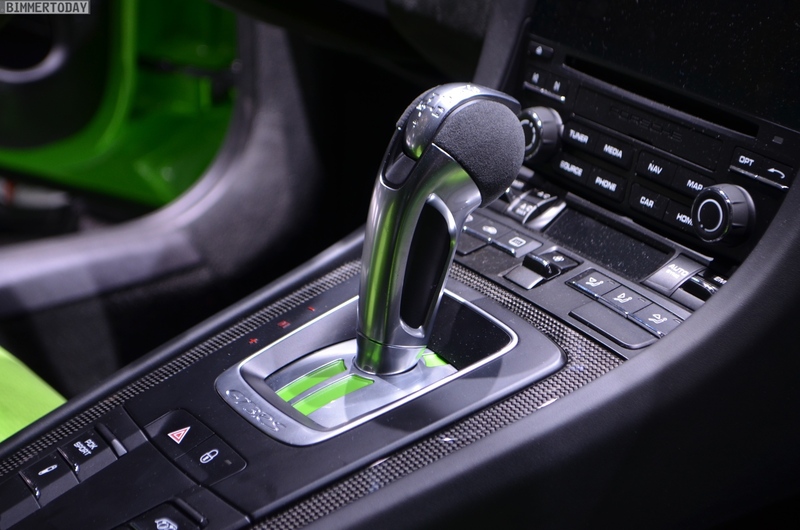 The only gearbox available is the 7-speed dual-clutch transmission. 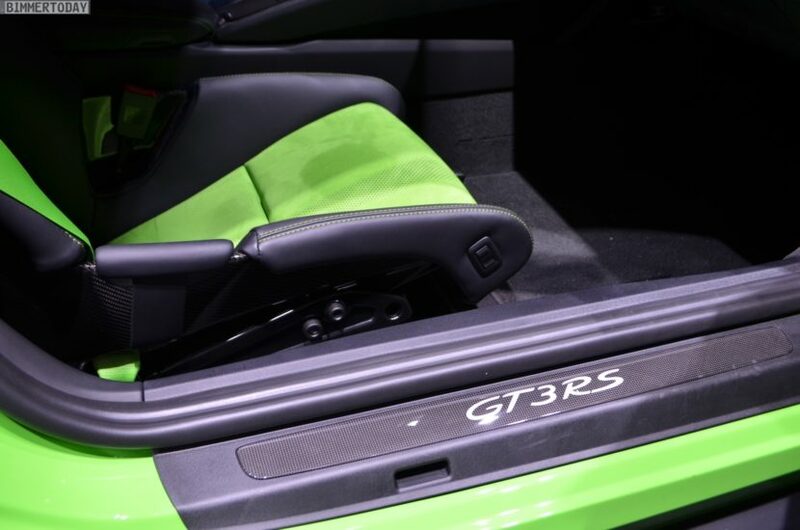 The engine, transmission and chassis of the Porsche 911 GT3 RS 991.2, like all other components, are ultimately committed to one goal: maximum performance on the race track. This claim is particularly visible in the aerodynamics: sporty front bumper including large splitter attachments, air vents, diffuser and of course the huge rear wing. Finest motorsport technology also provides the suspension, which is equipped with ball joints. 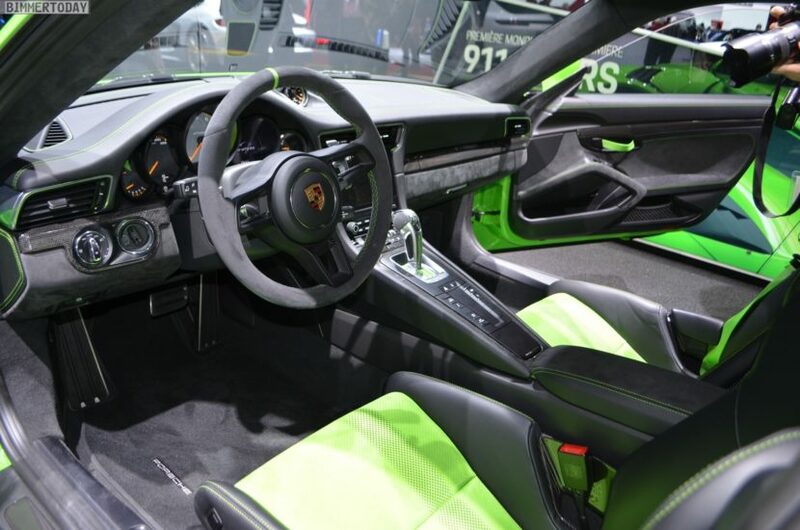 The fact that Porsche does not require an extra charge for the Clubsport package with roll bar, fire extinguishers and pre-equipments for battery disconnect switch and six-point seat belt, fits the character of the vehicle. 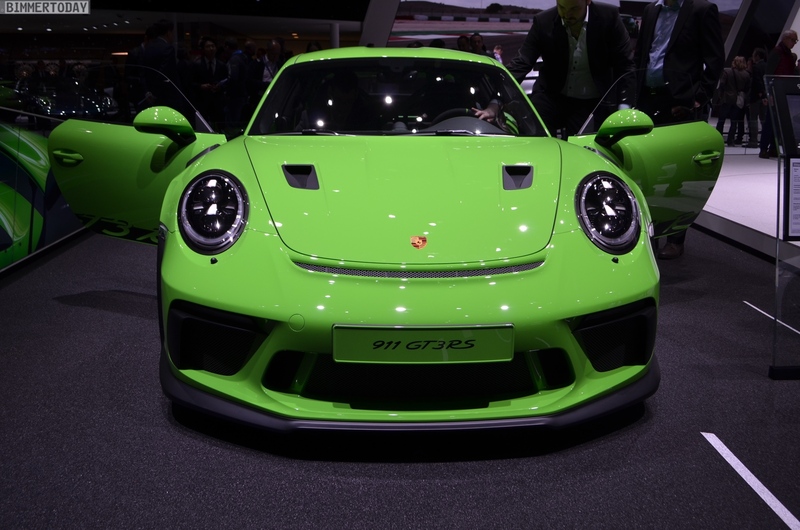 For the world premiere in Geneva, the new Porsche 911 GT3 RS sports the Lizard Green color that is perfect for its extrovert appearance, with many elements in black and visible carbon fiber dark accents. 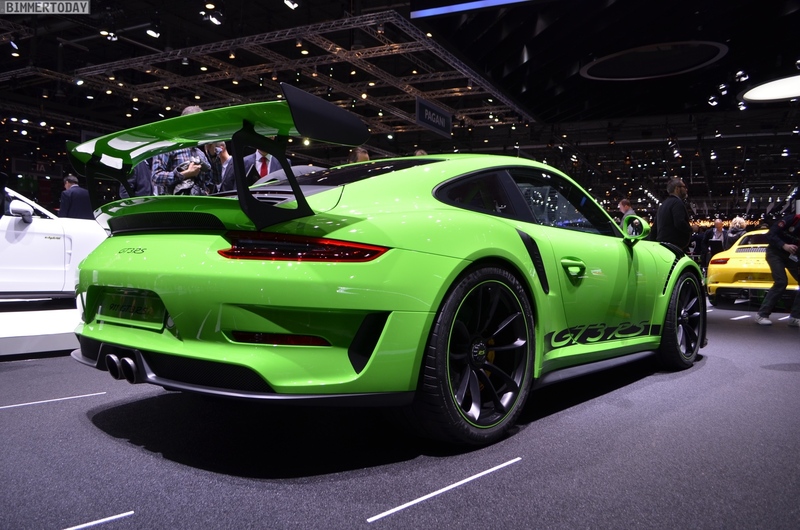 The prices for the strongest 911 with the naturally aspirated engine start in Germany at 195,137 euros, but in practice hardly a copy of the 911 GT3 RS will be sold for less than 200,000 euros.